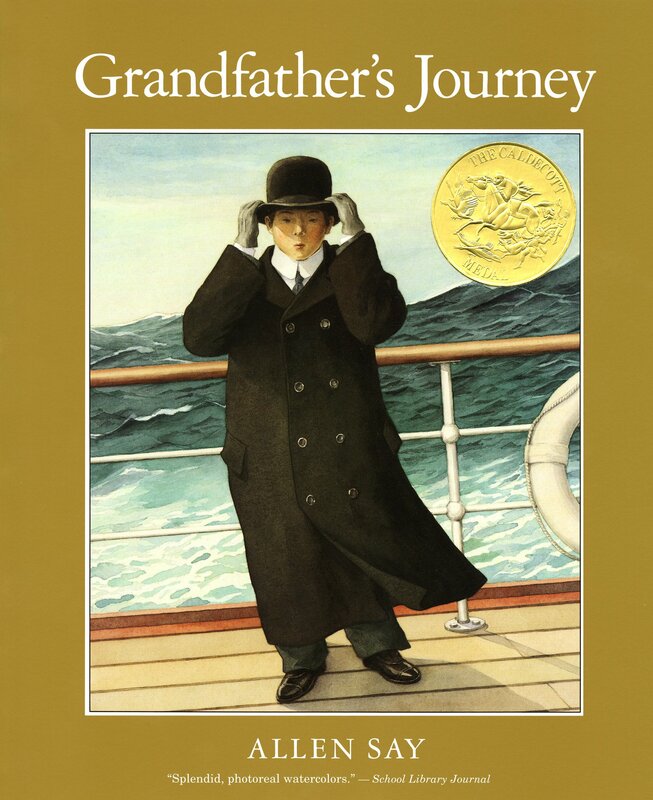 Grandfather’s Journey by Allen Say is a moving and poignant story of identity and emigration. It is a book with a powerful and personal message. It is a Caldecott Medal winner and is a stunning piece of art work. Allen Say delivers a poignant account of his family’s unique cross-cultural experience as his grandfather moves fro Japan to America. He shows his love for both countries through a series of beautiful portrait style oil paintings. His grandfather loves both Japan and America and longs to be in both countries at once. He tells the feelings most migrants must experience. When in one country, he invariably misses the other. The strength of this book lies in the personal experience of Say’s grandfather, his love of the mountains and rivers of Japan are compared with his love of the rivers and mountains of America. 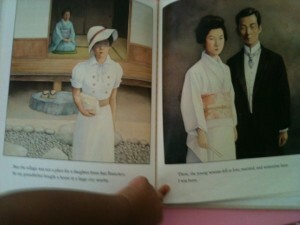 We see Say’s grandfather age in the book,going from a young boy to an old man full of memories. I enjoyed this book immensely as it is almost like a photo album. The protagonist is often posing in the picture, acknowledging that the reader is looking at him. The text is simplistic and plain, it adds to the sense of journey in the book. I had to say I identified with the story itself, it is true to say that the author captured the sense of longing that fills the heart of every migrant. It also acknowledges the connection people have to land and how rural people have a strong affiliation with the landscape they grow up in and sometimes cities can inhibit their spirit. 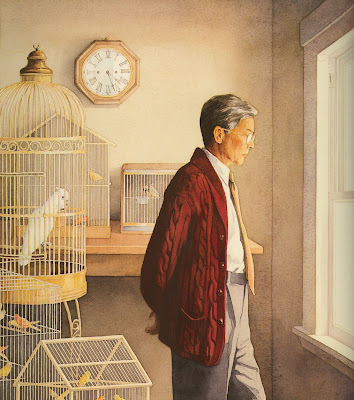 Allen Say is a master storyteller, there is nothing hidden in his illustrations, no symbolism or underlying meaning; what you see is what you get, and I love this aspect of his drawing. It is a marvelous picture book and is well worth picking up if you are living in a distant shore or sometimes wish you were back home. There is a beautiful mixture of Japanese and American culture and I enjoyed the contrast in the fashion in the two countries as show in the book. Did you enjoy Grandfather’s Journey as much as me? Did you read any of Say’s other quirky picture books?